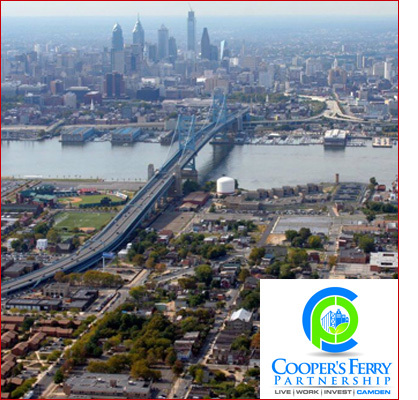 Cooper’s Ferry Partnership is facilitating the revival of the City of Camden by creating an environment where people choose to live, work, and invest. They develop visionary, long-range plans for the redevelopment of Camden’s waterfronts and work with private sector, government and community partners to make these plans a reality. Thomas/Boyd is routinely called upon to bring favorable attention to the programs and events associated with the work of Cooper’s Ferry Partnership in the revitalization of Camden. We have worked in conjunction with Cooper’s Ferry and Camden officials to announce some of the city’s most talked-about initiatives, including events like Camden Night Gardens, a nighttime celebration of Camden’s rich cultural offerings; the annual New Year’s Eve celebration and Fourth of July festival; the return of the Tall Ships to the waterfront and a special visit from Cirque du Soleil. We regularly write and distribute materials to media outlets throughout the region, including news of exciting Connect the Lots programs; the revitalization of parks and programs; workforce programs; energy-saving programs and safe and green initiatives.